De Vette has 60 years of experience in aluminum and steel constructions. 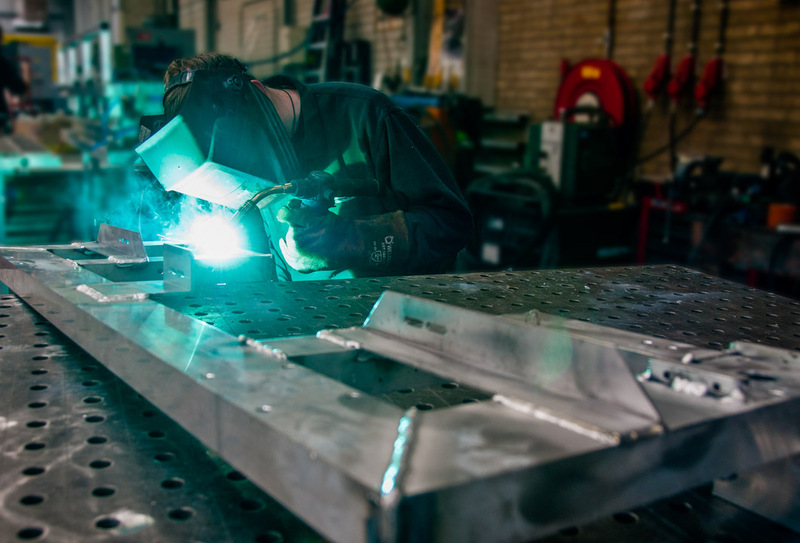 We design and produce in our own workshop and supply custom sheet metal in aluminum, steel and stainless steel. We also develop all kinds of machines, according to the wishes of our customers. The wishes of the customer are converted by us into 3D drawings and then developed in our own production space. The basis of these products usually consists of aluminium. In cases where aluminium is not enough, we use stainless steel or steel. All controls, control cabinets, pneumatics, and hydraulics are also developed and developed by us. Currently there are 20 experienced employees ready for you at De Vette. In our workshop we have extensive machinery so that we can keep the production completely in our own hands. Bend pipe to 60 mm. De Vette was founded in 1959 under the name A.W.A. de Vette B.V. We started in greenhouse heating. Because of our activities in greenhouses, the demand came for energy screens and aluminium constructions for transport equipment. In 2000 A.W.A. de Vette B.V. continued under the name De Vette CV. Since then we have grown into a fully-fledged machine factory where products are manufactured to the wishes of the customer. Want to know more about us? Read our leaflet.